As ever the mighty Verona are to be thanked for bringing Stinky Grooves to the weekly airwaves. I’ll be playing there this Friday from 5-9… I always end up saying stuff like this but it really is the BEST time and the food is seriously top notch, the drinks likewise and the vibes are off the kajizzle. 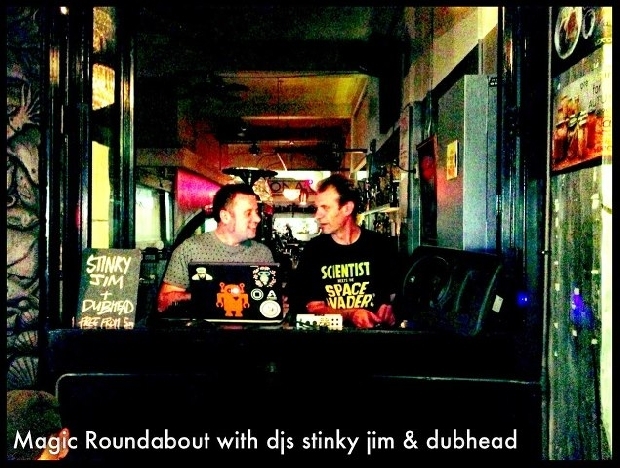 Can’t really whack the same old flyer up again so here’s a pic of the handover betwixt the Rt Hon Dub and myself (taken before the daylight saving winterization by the look of it)….